In the 1870s, Ros Gall’s farming ancestors loaded up the bullock train in Geelong and travelled 120 kilometres to take on newly opened agricultural land around Dookie in Victoria’s Goulburn River Valley. It was an urgent time. The gold rush sparked a population explosion that had driven a five-fold increase in the state’s non-Aboriginal population during the 1850s. By 1865 almost half of Australia’s 1.4-million settler population lived in Victoria. And they needed to be fed. From 1877, an experimental farm at Dookie began to take form - advising the new farmers, and testing out crops that ranged from new wheat varieties to wine grapes, olives and fruit trees. Six generations later, Ros Gall’s family is still there. The experimental farm is now the University of Melbourne’s agricultural campus where Ms Gall, herself a farmer in the area, is campus director. But the challenge has become much larger – how does the world keep increasing food production while consuming fewer resources? The global population is forecast to rise by almost a third in the next 30 years or so, from 7.55 billion people in 2017 to 9.77 billion by 2050, but at the same time resources like land and water are dwindling, which means agriculture needs to do much more with less. 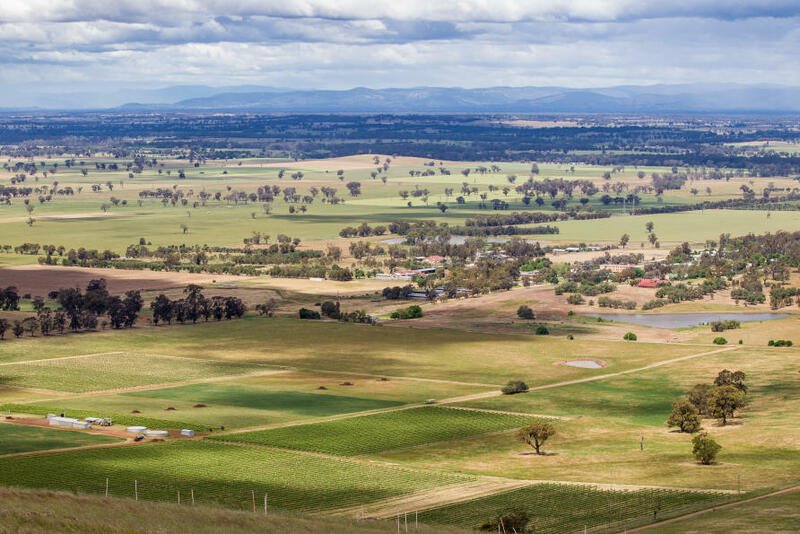 “We will be farming on less land in the future as land is taken over by population growth, is reserved for environmental reasons, or is made unproductive by climate change,” says Ms Gall. 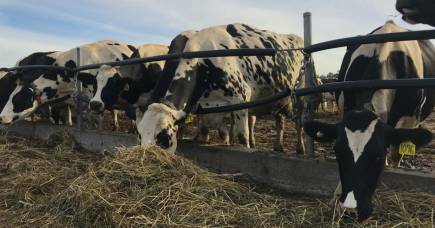 Research and development, she says, plays a central role in meeting this challenge, whether it’s through automation like Dookie’s own robotic dairy, advances in plant and animal biology, or new ways to preserve soils without fertilisers and new micro-sensing technology. Sensing technology is generating a wealth of information for farmers ranging from the health of their animals to when and where they need to irrigate. Then there’s the increasingly necessary ‘out of the box’ ideas like using sensors mounted on drones to spot crop diseases or using microwaves to kill weeds and boost soil fertility. Dookie-based senior food and agriculture lecturer Dr Graham Brodie is on a mission to revolutionise the way farmers combat weeds using trailer-mounted microwave generators. At just 2 kilowatts each, they are about double the power of your average microwave oven. “It kills the plants almost instantaneously,” says Dr Brodie squatting beside his prototype trailer outside his industrial-sized work “shed” at Dookie. On the back of the trailer is a bank of four microwave generators with wave-guides extending down to just a few centimetres above some weeds. Keeping the range of the radiation to only 2-3cm is enough to kill the weeds quickly and makes the system safe to operate. When he turns on the electrical generator the weeds just wilt. They don’t burn or shrivel and they still look green, but they are very dead. Just like a microwave oven heats water molecules in food, the microwaves “cook” the weeds from the inside. Australian farmers spend about $4 billion every year on herbicides. Small field trials of the technology show that the cost of using trailer-mounted microwaves to kill emerged weeds would be only marginally more expensive than using herbicides, but would provide other benefits. Microwaving is not only longer lasting, but it also improves the soil. The microwaves penetrate only about 5cm beneath the soil, but in doing so they kill some bacteria, which releases additional nitrogen into the soil. The bacteria are readily replaced by deeper lying bacteria. Small field trials in rice, wheat, canola and tomatoes have shown not only an 85 per cent reduction in weeds, but a boost in yields of 35 to 92 per cent. The microwaves also kill pests like snails, fungi and parasitic nematodes. While they also kill very near-surface worms, deeper lying worms are left unharmed to continue to benefit the soil. Dr Brodie’s technology has been patented and is working on a bigger field trial to apply it in large-scale areas. 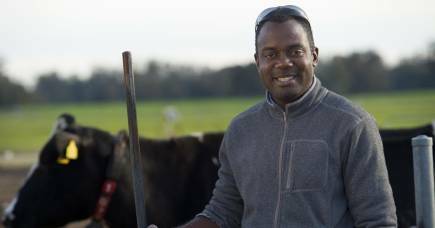 Elsewhere, Dookie-based sustainable agriculture scientist Dr Dorin Gupta is working with a team to develop technology that would allow farmers to detect diseases in crops before any signs become visible. 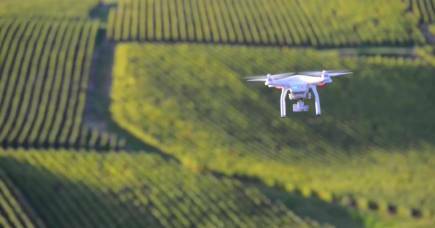 The idea uses drones mounted with hyper-spectral sensors that are eight times more sensitive than regular digital cameras to monitor crops. The sensors can detect the tiniest change of pigment, that could indicate the onset of disease. This technology would allow farmers to identify and stop infestations before they spread, saving more of their crop, making their land more efficient and reducing pesticide use. 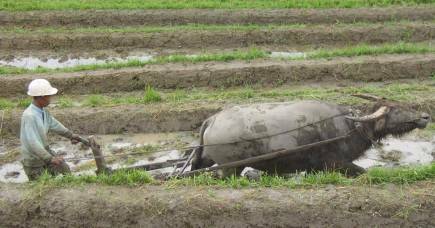 The research also includes Dr Brodie and Parkville-based University of Melbourne colleagues Associate Professor Dongryeol Ryu from Infrastructure Engineering and Dr Sigfredo Fuentes from the School of Agriculture and Food. Initial field-testing focused on tomato crops in Northern Victoria and research work at Dookie. 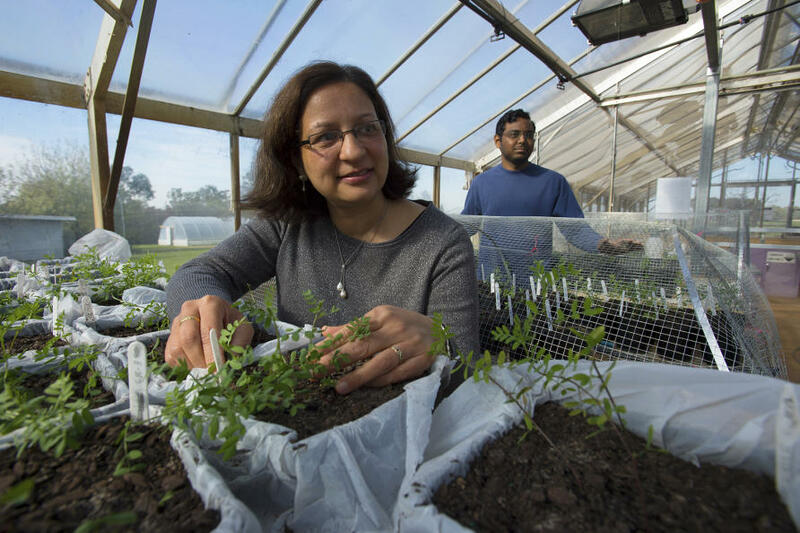 Dr Gupta is also on the front line of plant breeding to develop disease-resistant crops. “New disease-resistant plant varieties can take eight or nine years to develop and commercialise, but some diseases are able to evolve and break down resistance in just three-to-four years,” she says. Dr Gupta’s research relies on ancient wild lentil seeds that have preserved these disease-resistant genes that have been bred out of domesticated crops. Not only is farming becoming more technologically complex, farms are becoming bigger as the industry chases economies of scale. Ms Gall says that 20 years ago a decent-sized farm in the region was about 1,000 acres, but a much larger operation is now needed to be economically viable. She farms 2,500 acres, but she has other relatives in the area who are working on 5,000 acres - and cultivate around double that once the work they do for neighbouring farmers is included. On the face of it, automation and the trend towards larger farms would suggest that direct employment on the land will continue to fall. In the last five years, direct employment in Australian agriculture has fallen by around 5 per cent to about 300,000 people. But this masks what Ms Gall sees as a strong outlook for indirect employment, especially the professionals that a high-tech farming sector will need.